Simon has a vast amount of experience challenging the wrongful actions/inactions of CORPORATIONS and in particular; the staff working for them! Below are some of the results he has achieved. If you refuse to put-up any kind of resistance, then you are likely to get trampled-on; again, and again, and again. Simply standing-up for yourself can bring results! This page will be updated on a regular basis as new results come-in, and we will continue to back-track on past results, until the vast majority have been updated [we’ll remove this text, once we’ve finished updating all past results]. In the meantime, we start at the top of the page with the most recent win/result. Please note: we’ll be using this results page as the basis for shows, handouts, webinars and training sessions so that you'll be able to see documented-proof of the methods we have employed in order to achieve positive outcomes. 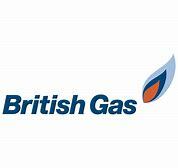 British Gas refund £7k on a Defaulted Account: Win! £165 Compensation for Stopping Two Cheques: Win! "whatever happens, we're here to help - online or over the phone". The claim was quickly agreed and an offer of £1150.00 was made by Aviva and subsequently accepted by my friend. This is where the fun began. 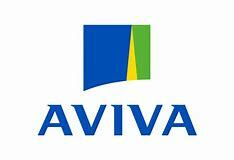 Aviva sent my friend a cheque and he banked it. Then Aviva, in their [lack of] wisdom decided to stop the cheque! They sent a replacement cheque and stopped that one too. All the while my friend was making phone call after phone call. He was so distressed I offered to make a call for him. 1 hour later he received an email to advise that payment was on its way. He confirmed receipt with his bank - "hoorah" the funds had cleared. I then offered him some coaching and a compensation claim was made. Aviva promptly offered £165 and some pennies. I'd call that a result!" The reasons offered by Aviva for stopping the cheques make absolutely no sense whatsoever (they are non-sense)! We'll be revealing all shortly - but for now - this claim is still live and further compensation cold follow! 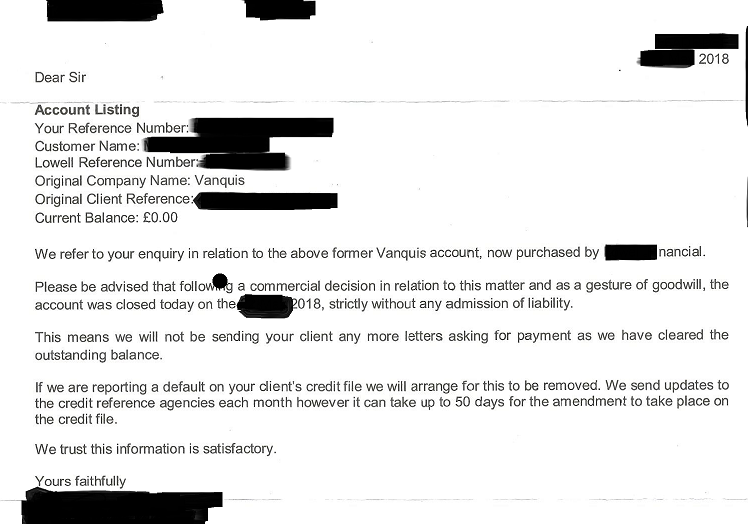 £3,000.00 alleged Debt Wiped Out and Credit File Cleared: Win! "In this particular case a good friend of mine agreed to exchange energy with me. 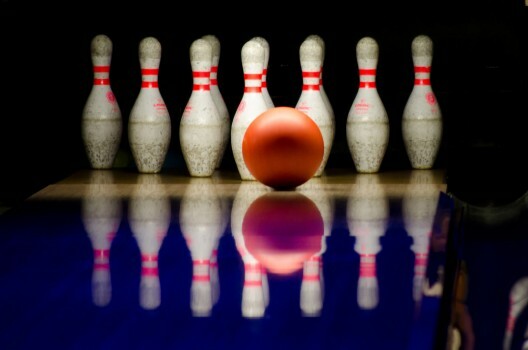 He sorted out some plumbing work for one of my family members and I wiped off his debt." "The letter you see here was received within three months of my first letter. I sent three letters in total before the pirates bugged out. Needless to say - my friend was pleased." Win! £27,000.00 alleged Debt Wiped Out: Win! "A friend of mine was struggling with approximately £27,000.00 of “debt”. He got in contact with me, and we hammered out a deal whereupon – he would do some work for me, and I would handle his “alleged-debt”. A fair exchange." "There were five “accounts” of varying amounts; credit cards and loans. One account was already with solicitors. We laid the foundations for success as per the ‘Get-Out-of-Unsecured-Debt’ Webinar (see the "tool-box"), and within three months the solicitors had withdrawn from the field of battle. After six months, all “lenders” had gone quiet. Two years on; four out the five accounts had either disappeared from the credit file, or are showing as 'settled', even though my friend hasn’t paid a penny! The final account is still showing on the credit file, but they haven’t been in contact for more than two years. When they last contacted me, as opposed to him (the game-play is explained in the Webinar), I made them an offer they couldn’t fulfil. They disappeared with tail between legs. I’d call that a Win!" NatWest Pay up Again. £175.00: Win! I was asked to do a favour for a friend. The favour? Simply pop along to the Bank (NatWest) and pay in a cheque. Sounds simple enough. Now I want you to bear in mind that I do not have an account with Nat West. I popped down to my friend’s local branch (somewhere “in” Essex), and joined the queue for the cashiers. There were two cashiers, of which one appeared to be avoiding customers. This caused the queue to grow rapidly, and within a few minutes said queue reached the front door of the bank. A series of events followed, comparable to those portrayed in Fawlty Towers. When I had eventually banked the cheque, I decided to make a complaint, by phone. The complaint was handled badly, and I was told a number of “pork-pies” [lies] as I later verified against NatWest’s customer service policy which is detailed on their website. I wrote to HQ as agent of my friend, and hey presto, £175.00 was credited to my friend’s account by way of compensation. I must admit – NatWest are very good at “holding-their-hands-up” when staff goof-up. Win! A single parent, living in Essex with her mentally-impaired son, had repeatedly been told that her son could not be added to the tenancy agreement, despite the property having been purpose-built to cater for her son’s needs. Following some simple, yet persistent, questioning techniques, the Housing Association were forced to agree with our view that her son should be added, and they backed down. Adding a disabled/alternatively-abled member of the family to a tenancy agreement can have positive implications, and clearly promotes a feeling of home-security. HMRC Claim £2,000.00 for alleged Overpayment of Child Benefit - Claim Dropped before Hearing: Win! Simon has assisted a number of families with disabled children. The "mix" of benefits such families are entitled-to can appear complex – and Government Agencies tend to confuse matters, often getting themselves, and claimants confused in the process! In this case; a single parent, with an autistic child, had written to HMRC to seek approval for the continuance of Child Benefit, beyond the age of 18. Precedent does exist (see Qualifying Young Adults), and HMRC Child Benefit Team promptly approved the payment of Child Benefit, only to change their tune two years down the road, demanding it all back! Each time HMRC’s claim was rebutted, the amount reduced; from in excess of £2000.00 to £1024.00, and then to £448.00. it was taken to appeal and, using some of Simon’s advanced questioning techniques, the claim was dropped. 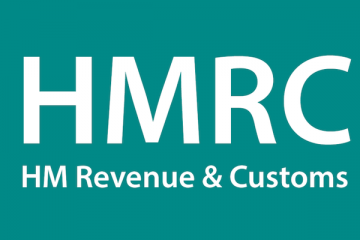 Looks like HMRC staff are no different from other public servants – they don’t communicate with each other and they don't read their own notes (Doh)! 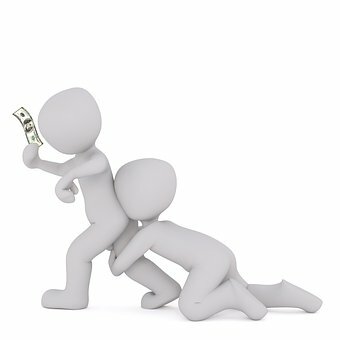 Bank Loan £23,000.00 - Solicitors "Bug-Out": Win! In this case, a friend of Simon’s wanted rid of a £23,000.00 outstanding loan balance. Simon intervened, and began to exchange letters in the normal way as per the “Third-Man” intervention technique (see the "Get-Out-Of-Unsecured-Debt" Webinar in the "tool-box"). We won’t name the Bank, as we don’t wish to give the game away. After a period-of-time, the Bank were becoming just a tad frustrated, and they passed the case out to a very well-known firm of solicitors. The game continued … one thing led to another … Simon found himself engaged in a phone call with a Junior Solicitor and a Senior Partner. In Simon’s words: “the partner was screaming down the phone at me. He couldn’t get past my position and was effectively begging-me to pay him. Once you realise that all loan re-payments are effectively gifts – and once you learn to question things properly, then clearing debt becomes very easy." Despite all the threats of litigation, Simon left the Partner-of-the-Firm with 3 questions, and a guarantee that Simon would pay the debt upon receipt of a satisfactory response. We haven't heard from them since! In the words of Goose from Top-Gun: “the-bogey-bugged-out” Result! Lloyds Bank - Waiver of over £900.00 Bank Charges: Win! “A friend of mine had been hit with Bank Charges. In this case it was Lloyds Bank “the-Dark-Horse” of the Banking fraternity! I set about intervening. I like to intervene as a third-party: this removes the pressure from friends, and the Bank doesn’t know who, or what, they are dealing with. I am an unknown quantity – especially if I go-in as something other than Simon G - if you dig! I can’t emphasize how important it is to simply question charges and fees. Asking for a detailed 'breakdown' of charges can, in itself, achieve results. In the worst case scenario - it gives us an opportunity to open up a discussion and the opportunity for some good questions. If a member of staff subsequently happens to be rude, or stupid, during the inter-play, then that can provide us with another opportunity to get a result. I must say, I particularly like it when staff drop their guard and get "off-hand" or "funny" with me. I use their “rudeness” as the excuse for management to waive charges and prevent a complaint. It took me one phone call, and a few letters to get £900.00+ waived from my friends account.” In the words of Alan Partridge: "back of the net!" Capital One Credit Card - £3,500.00 Balance Waived: Win! This case features in episode-one of the video series "Get-Out-of-Unsecured-Debt". Simon had been asked to defend a claim which had already been issued via the Northampton Bulk "Rubber-Stamping" Business Centre. Simon explained in the show that he doesn’t usually like getting involved at such a late stage. The debt had been sold on from Capital One to a well known debt collection agency. Using the simple techniques described in the Webinar (visit the "tool-box"), Simon was able to cast doubt over the entire claim. First the Solicitors withdrew from the claim, and then the claimant agreed to waive the balance and clear the credit file. One of numerous wins challenging “unsecured-debt”. NHS Penalty Charge and Dental Fees £153.90 Waived: Win! We mentioned previously that Simon has been assisting families with disabled, and or mentally impaired children. In this case, one such youngster had been taken to an NHS dentist for some work. The child in question had always received free dental care. 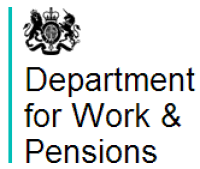 Due to a paperwork delay with the annual "review" of benefits, the mum was unable to show entitlement to free work. It must be borne in mind that the littlun has a "lifetime" entitlement to benefits! The NHS took it upon themselves to demand £53.90 for the dental work completed, and they issued a Penalty Charge Notice in the sum of £100.00. This was a very simple case of NHS staff neglecting to read their own literature! In short, NHS leaflets state that if a patient 'qualifies for exemption', said patient 'does not' actually have to 'apply for an exemption certificate', for the simple reason that qualification is bleedin' obvious! A few letters resolved the problem, though NHS staff attempted to put up a fight - what jokers! Win. Makro Fail to Deliver Flooring on time and Pay for It. "Notch-Up" another £500.00 Result and some Free Underlay: Win! There’s an old saying; “never make a promise unless you can keep it” – this is especially true when Simon’s involved! In this case Simon had been looking to buy some bamboo flooring. So how did a purchase of flooring end up with Makro paying Simon £500.00? In his own words: “I wanted some flooring, shopped around, and found some I liked. There weren’t enough packs in stock, so I ordered some at the customer services desk. “They’ll-be-in-next-week-guv", the assistant said. Away I went, and back I came. No flooring. This happened three times over three/four weeks. Makro HQ were delivering to a Makro store – so I couldn't see how they were getting it so wrong. A quick call to HQ – no success. A quick call to group HQ in Germany – Bingo! £500.00, and free underlay. As Rambo said: “don’t push me, or I’ll give you a war you won’t believe.” Win!" When the Helpful Bank is unable to close an Account, Simon takes them for £670.00: Win! This is a case which appears in the WhiteRabbitTrust Retro Training Course: “How to Hold Corporations to Account” which you can access via the button below. So what happens when a Bank is unable, and or incapable, of closing a current account, and sending the closing balance (of less than £20.00) to the customer? The answer is simple … when a customer goofs up, the Bank charges £35.00 for the mistake/error (eg: a bounced cheque or direct debit), hence when the Bank goofs up - what should the Bank pay? Simon simply reflected these charges back onto the Bank, and within three months or so, the Bank had paid £670.00! Sweet - as a nut! Nat West now use the strap-line ‘We are what we do’; so what does that make Nat West? Here’s a clue – it rhymes with ‘trap’ – Win! Santander Default Balance £299.00, Waived: Win. Simon had been asked to do “what-he-could” with regard to a friend's defaulted overdraft, with Santander. 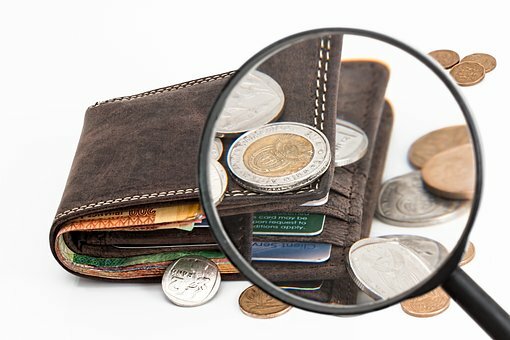 Acting as the “third-man” (see the Get-Out-of-Debt Webinar for the technique), Simon went about collecting and verifying the facts. You’ll be surprised what picking-holes can achieve. Simon refers to this as the "Steve-Davis" technique. Steve Davis was World Snooker Champion six (6) times, and he was well known for having a solid game. One of his strategies for success was to allow his adversary to make mistakes, and then pounce. By applying that line of thinking, and raising question, after question, after question, Santander eventually gave up, waived the balance and cleared the credit file. He who leaves the battlefield first, loses by default. Win! Our Simon does get about! In this case, Simon has been assisting a family, where one of the children has both physical and mental disabilities. The family live in social housing which has been purpose-built for the benefit of the disabled child. The local council, seizing on an opportunity to extort money from people, decided that they would try their luck and claim that the property had an extra "bedroom". Said council then proceeded to levy “spare-bedroom” tax against the non-existent extra bedroom! Families in similar situations face unbearable pressure, not least because they tend to rely on benefits whilst acting as full time carer(s) for the disabled kid(s). Often, families have neither the time, the energy, nor the will to fight the council. Simon intervened and raised some simple questions as to the meaning and source of the word “spare”. The Council being unable to answer these simple questions rapidly backed down and “waived” the additional tax in the sum of £700 per annum. This happened for three consecutive-years. Three Wins. Rock-on! 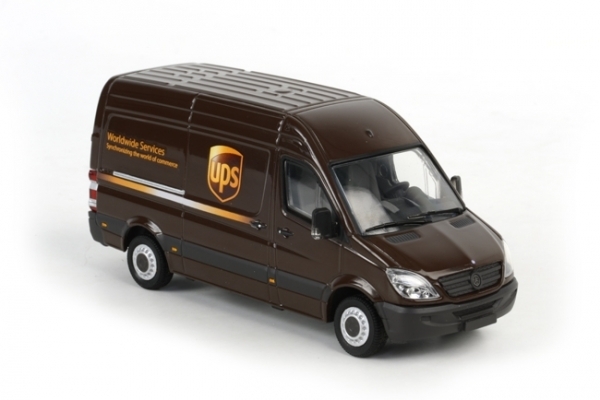 UPS - A Case of Verbal Assault: Damages Claim for £1,150.00: Win! 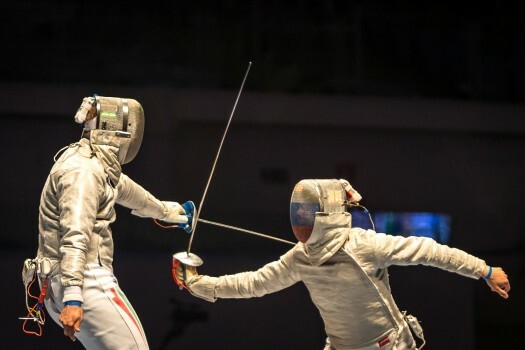 Claim Against an On-Demand Bond: Saving Achieved - £13,000.00: Win! This is a case in which Simon was assisting a friend. Bonds are used frequently in the construction industry, and this was one such situation. A bond is typically lodged with a third-party to “secure” a specific-performance. For example: “A” is a contractor, which employs “B” a sub-contractor, to perform specific works. “B” lodges a Bond with “C” (an insurance company). “C” holds the bond, and should “B” fail to perform XYZ, then “A” can claim against the Bond - up to a pre-agreed limit (the value of the bond). "C" will often demand the lodgement of a personal guarantee to insure itself. If “C” pays out a claim to "A", it can immediately demand recovery from “B”. “B” MUST pay, even in the event that he disputes the original claim fro "A". The Bond is a confession of guilt - a rubber-stamping job via the courts. In this case Simon achieved the seemingly impossible. Using the third-man technique, Simon reduced a claim of £24,000.00, down to £11,000.00, a reduction of £13,000.00. Win! Gotcha! - The Unwanted Double-Glazing Telesales Call - £400.00 received in "compo": Win. We won’t spoil things for you! This is a case which is featured in the WhiteRabbitTrust Retro Training Course: “How to Hold Corporations to Account”. You can find it by clicking the button below. Here’s what happened in Simon’s own words: “I was at home when the phone went. It didn't take me long to realise it was a telesales call. After some initial games play in which I verified the company phoning was bona-fide, I asked to be transferred up the line so as to complain, but staff-members decided to play games with me (Big-Mistake)! 3-4 hours later, having liaised with the Managing Director, my Bank Account was credited with £400.00. Sometimes you have to be persistent in order to get a result. I tend to use their mistakes, and their poor treatment of me, as an excuse to increase the damages! Once we’d agreed the damages, I explained to the MD how “money” works, and why his “mortgage” was most likely void. He thanked me and said it was the best £400.00 he’d ever spent!” Now how’s that for a result? Simon collects £400.00 and the party paying-out thanks him for it! Glyn Hopkin Ltd (Honda Dealership) - Data Protection Act Breach: Court Win! "A few years back, I had a Honda 4×4, on lease. I was invited to the Romford Honda Dealership for a free tyre and engine safety check. At the end of the service, I was asked to sign-off a worksheet, which was then added to the service-history. I noted two questions regarding future mailings, which I declined to receive. A year or so later, I received a mail-shot. I wrote back demanding £125.00 damages, for the time I had wasted in telling them what I had already told them – ie; I didn’t wish to receive mail-shots! A rather snotty woman wrote back and refused to pay. They sent me a second mailshot. Again I demanded damages. Again they refused to pay. So I issued small claims court proceedings. I won the case, but received no damages because I had forgotten (like a donut) to establish financial damages [I should have brought onto the record the recorded delivery receipt for atleast £1 nominal monies spent – doh]. That case cost them around £4,400.00 to defend (barrister fees). I bet they wish they had simply paid up. I haven’t heard from them since." Win! Bristol & West Mortgage - £40,000.00 Reduction of Balance: Win! This case is featured in the Mortgage-Destroyer Webinar. Simon had been asked to provide assistance to a friend, following the death of said friend’s brother-in-law. The deceased party had left an estate valued in excess of £1.5M, with outstanding debt (mortgages) in the sum of £1.3M. Simon’s friend wanted to improve the situation for the widow. Simon was granted a Power-of-Attorney, and he set about communicating with the executors of the estate, of which one was a firm of solicitors. The solicitors wanted to discharge a Mortgage “debt” owed to Bristol & West, and Simon authorised this on condition that various Mortgage documents were returned (see Mortgage Seminar Nov 2015). Initially the solicitors claimed not to have received Simon’s letter, and on the fifth attempt of sending it (via post, recorded delivery, fax, and email), the solicitors finally acknowledged receipt. 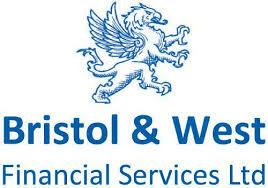 Within four hours of receipt, Bristol & West had agreed to accept £70,000.00 against an outstanding debt of £110,000.00. Why do you think they did that? We know the answer and We reveal all in the Mortgage Seminar Nov 2015 & Mortgage-Destroyer Webinar - just visit the ToolBox. Win! In this case a Company called Fresh Debt Solutions Limited had sent an unwanted text to Simon offering their PPI Reclaim services. Simon responded by demanding damages, and; the means by which his data had found its way into the possession of Fresh Debt Solutions Limited. The Company provided erroneous information and refused to pay damages, wasting Simon’s time further. Simon issued small claims court proceedings. During the proceedings, the Company was sold. Following the sale of FDS, the previous Managing Director (no longer Managing Director) submitted paperwork into the court, and signed it ‘for and on behalf of the Company’ (which he was not authorised to do). This led to the new Company owners/Directors settling out of court. Essex & Suffolk Water - A Hamper full of Goodies: Win! Simon had contacted Essex & Suffolk Water to question a bill. Before ending the call Simon made an enquiry as to the type of “flouride” being added to the water supply. Simon’s enquiry was passed onto a Supply Manager, who later called Simon to discuss the concerns. During that conversation, the Supply Manager said Simon was being “ludicrous”. This happened not once, not twice, but three times! (Twice verbally, and once in writing)! Simon complained about the conduct of the “Manager” and as part of the complaint Simon pointed out synonyms for the word “ludicrous”: absurd, ridiculous, farcical, laughable, risible, preposterous, foolish, idiotic, stupid, inane, silly and nonsensical. Clearly this showed the “insult” to be just that: an insult. When asked what he wanted by way of an apology, Simon demanded a hamper of food. The Company sent, by courier, one Marks and Spencer hamper, and very nice it was too. Win! 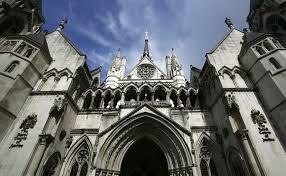 Santander and the Case of the Arrears that weren't! £80 Compensation Received: Win. This is a case which features as part of the WhiteRabbitTrust Retro Webinar: “How to Hold Corporations to Account”, which you can access by clicking the button below. The case emphasizes a very simple technique which Simon employs when Companies make mistakes. If a Company charges customers for mistakes (eg making late payments) then why not use that level of charge against the Company, when staff make mistakes? In this instance, Santander had sent an arrears letter when the Mortgage Account was £0.10 in advance. The letter stated that a £40.00 fee had been charged. Simon demanded the £40.00 be refunded, together with £40.00 for the mistake, and £40.00 for not phoning him back as promised. Within a few days, and without any argument whatsoever, Santander credited his bank account with £80. Result! Discharge of a Charging Order by Convening a Court-of-Record - £3,600.00: Win! This is a case which was widely publicised on the WhiteRabbitTrust You Tube Channel in the cult classic video called “Once Upon a Time in Bankruptcy”. The whole story will be made available via the Jedii Academy very soon! Let's just say that Simon dispensed with a claim for costs from the Treasury Solicitor’s Office. The claim had been charged against a property in Simon's name. Simon convened what he describes as being the highest court-on-the-land, as opposed to “in” the land. Simon was successful: the claim was Struck-Out, and the Interim-Charge was discharged. A victory for common sense and the people! Child Tax Credits (DWP) Claim of Overpayment - £5,500.00 Waived: Win! This case is featured in one of the YouAndYourCash.Com episodes. In Simon’s own words: “A friend of a friend had received a letter demanding repayment of £5,500.00+ for an alleged overpayment of Child Tax Credits. I was asked for some tips, because said friend of friend had been summonsed to attend a meeting to discuss the matter. I suggested she ask four or five very simple questions so as to establish precisely who would be liable for the alleged “mistake”. She attended the meeting, asked the questions very calmly, and by the end of the meeting, she had received an apology and a statement to the effect that she had been under-paid in excess of £1,000.00! She was provided with advice as to how she might claim said underpayment and she left their offices with a smile on her face.” Result! Those trusted to know-the-job, and do-the-job, are liable for their own mistakes and that includes overpayments* *subject to the specifics of each case. The Mortgage Business - Waiver of Mortgage Charges: £820 Win! In this case, Simon was asked to investigate and question multiple charges which had been debited to a friend’s Mortgage Account. This case perfectly highlights the need for people to question things. Using the Third-Man technique (see Get-Out-Of-Unsecured-Debt Webinar), Simon wrote one letter introducing himself. Within said letter, he requested a breakdown of all fees, and charges debited to the Account. [In other words, Simon was gathering his information so that he could later pick holes]. TMB wrote back waiving £820.00 of fees/charges from the Account, prior to a challenge being lodged! It just goes to show that fear of the unknown, is the greatest fear of all. TMB staff didn’t know why Simon wanted the information he had requested. Fear compelled them to review what they had done, and hey presto – they found fault with £820.00 of their own charges. Win! RBS Credit Card £3,800.00 - Short Settled for a token-payment - Credit File Cleared: Win! In this case Simon employed a tactic passed onto him from a barrister. The tactic is powerful, and very simple. It is going to make for a very exciting show (coming soon to the Jedii Academy). Simon had already gotten the Bank into a state of flux (See Get-Out-Of-Debt Webinar). The Bank couldn’t move forward with its claim, but his friend wanted “closure” and peace of mind. Simon sent the Bank an offer of short settlement. The Bank “cashed” the cheque (for a token amount), and in line with the terms of the letter accompanying the cheque, the disputed “debt” was now settled. The Bank wrote out claiming it didn’t accept the cheque, but it was too late; the cheque had been cashed. Strangely, the Bank removed all trace of the Account from his friend’s credit-file and has not been in contact since. Funny that. Win! The AA - One upset girlfriend = One Harvey Nichols' Hamper and a Bunch of Flowers: Win! “Did I mention I like collecting hampers? 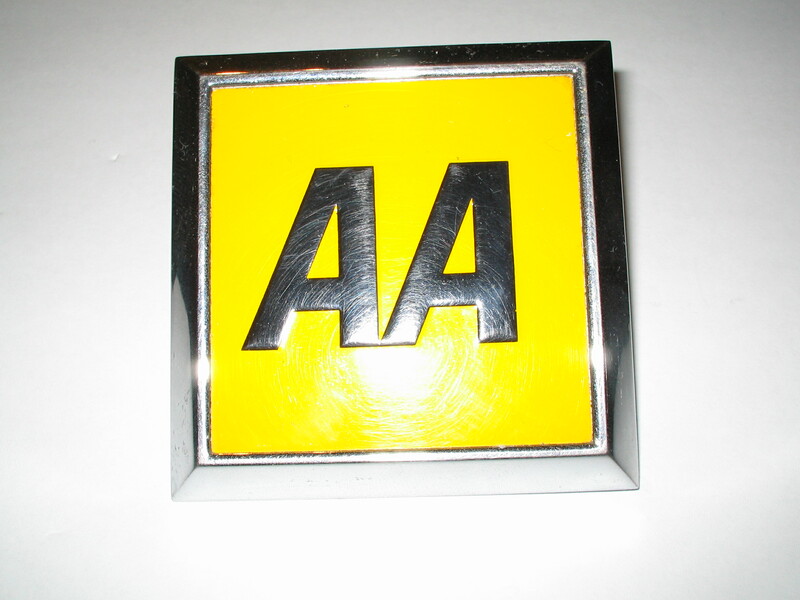 A good few years back, my then girlfriend had a loan with the AA. She wanted to clear it off, contacted their offices, and spoke with some guy who upset her, and caused her to cry. Completely unnecessary! Now bearing in mind I have managed finance-orientated teams of up to seventy staff in the past, it is generally a dangerous move for junior members of staff to get arsey with either me, or my loved ones, because I can flip into “work-mode” and approach things from a management perspective, just as easily as approaching things from a customer point-of-view. This win is perhaps one of the easiest I’ve ever had. I simply phoned the chap’s line-manager and explained that as a result of what had happened, I was now receiving an earbashing from my girlfriend. I explained that either he would have to put things right, or I would be compelled to put things right. I suggested they send her a bunch of flowers and a hamper to say sorry, and I advised them that I would leave it for seven (7) days before taking further action. A few days later a bunch of flowers and a hamper containing 2 bottles of wine, 1 bottle of champers, cheeses, jams, biscuits and crackers arrived. I highly recommend the Harvey Nichols' Hamper” – Win! What happens when a Bank rejects a Credit Card purchase? They pay up £500.00 in compensation: Win. Every Direct Debit you sign, comes with a guarantee. The guarantee can be found at the bottom of the Direct Debit Mandate. The guarantee allows payments, deducted from your bank-account, to be clawed-back in the event of an error* (*rules apply). In this case, Simon used the Direct Debit Indemnity Clawback to great effect, to right a wrong perpetrated by Capital Bank. Here’s what happened in Simon’s own words: “when I discovered that bank-loans were not entirely what I had been led to believe, it dawned on me that Capital Bank (owned by Bank of Scotland) had conned me! The loan was paid-in-full, and the account from whence the payments had been taken was now closed. No problem! One simple letter to the Bank which held my old current account, and two weeks later a cheque in the sum of £10,211.24 arrived, which I promptly cashed. Capital Bank’s solicitors wrote to me, and I responded with one letter and never heard from them again. It pays to know how these things work!” Warning: do not attempt this maneuver unless you are capable of dealing with the potential consequences. To access the training materials, why not watch the "Direct Debit Clawback Training" Show. Barclaycard Balance £4,100.00 Wiped, and Credit File Cleared: Win! Loan Balance of £2,100.00 Wiped, Credit File Cleared: Win. “This is another case in which I was asked, by a friend, to intervene – I have a lot of friends! I like to use the “Third-Man” technique because it removes from my friends, the stress of direct-combat. You can learn this ninja-technique by pressing the button below. Initially, I began liaising with Santander direct, although; they wouldn’t have known it was me they were liaising with! Santander were unable to combat the position I placed them in, and very quickly this was passed out to solicitors. The solicitors, who I shall not name, employed an aggressive approach, and threatened legal action. I maintained a cool, calm, Bruce-Lee type stance throughout, as one would expect of a Jedii-Warrior-Monk ;O). After a few exchanges, the solicitors bailed. He who leaves the battlefield first, loses by default. We checked my friend’s credit-file a year or so later: the balance had been wiped, and save for an initial default in the month when the account had passed to solicitors, the payment showed A1. 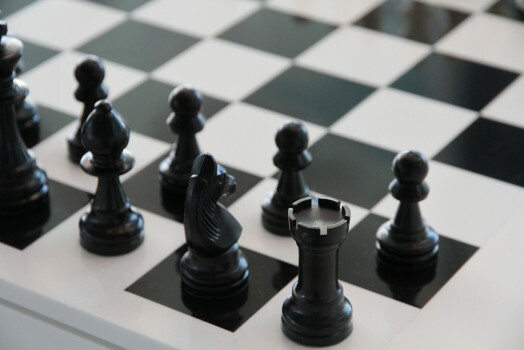 The way I see it is this: if a Bank can sense that you have a good understanding of the GAME, they will often wipe debts, and clear credit files, because they do not want to risk blowing the GAME wide open.” Win! Work Completed; Bill Not Paid - £2,500.00 Debt Collected: Win! “A friend of mine had completed some work for a local businessman, but two years on, had not been paid. The amount involved was £3,000.00, and my friend, whilst needing the funds, had neither the means to employ a solicitor, nor the know-how to do it himself. (Did I ever mention I used to collect-debt as part of my function for the Banks? I even wrote debt-recovery policy for one major lender, and trained staff members, and managers). I didn’t like the fact that a wealthy businessman had taken advantage of my friend, and so I took the case on. Following letter-one, which I hand delivered to the businessman’s home address, said “debtor” made an offer of monthly payment. Following letter-two, a lump-sum settlement was agreed between said businessman, and my friend.” Win! Everyone’s circumstances are different. You must remember that Simon has had many years experience, and is not easily intimidated by someone with a ‘title’ like “Company Solicitor” or “Director”. Your results may be different, but you really won’t know what you can achieve until you prepare your battle plan and try it for yourself. 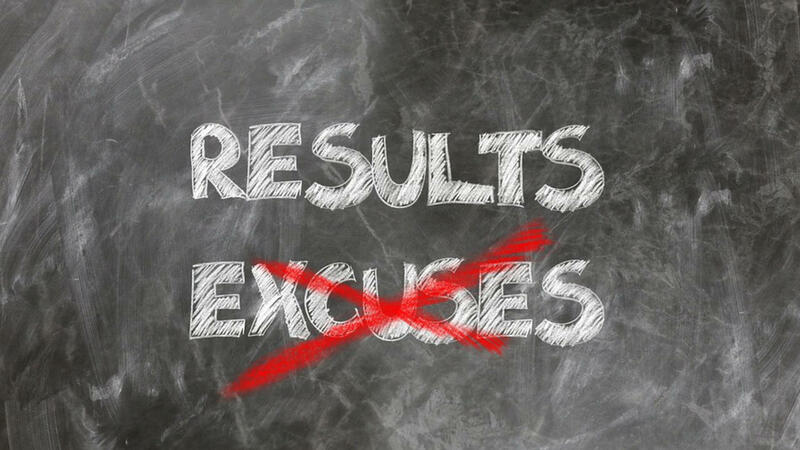 We believe that everyone has the ability to get results. The question is; are you prepared to stand-up and try?